Welcome back to all Pre-Preparatory students and families. I hope you have enjoyed the Easter holidays and Commonwealth Games. This week we welcome the following student and her family to the St Hilda’s School Community: Emma Lin, Pre-Prep 3M, Grevillea. The playground is supervised in the mornings for students of Pre-Preparatory by our Assistant Educators from 8.00am. The Pre-Preparatory Teachers are required in the morning before school for Staff Briefings on Tuesdays. On other days from 8.10am, teachers are working in their rooms preparing for the day and from 8.20am are in the playgrounds. They are available to speak briefly with parents from 8.10am. Parents are welcome to make an appointment to discuss any matters requiring a longer time and this can be done by communicating with the teacher concerned via the School Diary or email. Each week, the teachers of Pre-Prep classes post photos and documentation for parents to read on Blackboard. 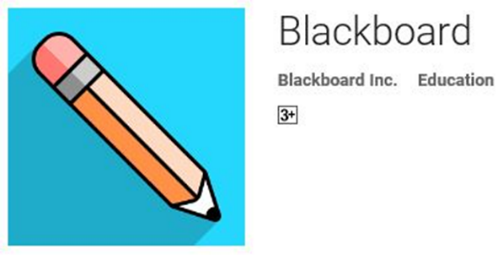 There is an app, pictured above, which parents can upload to their phones and iPads to make accessing Blackboard even easier. On 2 July 2018, there will be a new Child Care package which will help parents with children aged 0 -13 with the Child Care Subsidy. It will replace the current Child Care Benefit (CCB) and Child Care Rebate (CCR). All families currently in receipt of either CCB or CCR will receive a Centrelink letter about transitioning to the Child Care Subsidy. Parents should follow the instructions in the letter and go online to complete the Child Care Subsidy assessment or claim for Child Care Subsidy. Further detailed information regarding the Child Care Subsidy can be found on the following link or at Centrelink. Students in Pre-Prep have been invited to participate in the Mother’s Day Market Stall on Wednesday 9 May. Parents can place orders and pay via Parent Lounge\Excursions. Students will be accompanied to the stall during the day to select that special gift for their mums or grandmothers. Children in the part-time Thursday Group will have the opportunity to participate on Thursday 10 May.